Vincent J. Burnelli wanted to incorporate maximum efficiency in the realm of air transport. The unorthodox result pioneered the wide-body cabin and the lifting-fuselage design. There must have been some odd looks on the faces of the Provisional International Civil Aviation Organization officials on hand to witness the demonstration flight of the Burnelli CBY-3. The different-looking transport plane roared down the runway at Montreal's Cartierville Airport in August 1945 and flew into what would turn out to be a short history. Like the Douglas DC-3, the most famous transport aircraft of the period, the CBY-3 was a large, twin-engine, all-metal monoplane. There, however, the resemblance ended. The two engines of the DC-3, like those of most multiengine aircraft, were mounted in the wings; the engines of the CBY-3 were mounted side by side on the forward edge of the fuselage. The DC-3 had a conventional single tail section at the rear of the fuselage; the CBY-3 had a twin tail mounted on booms extending rearward from the main fuselage. Most unusual of all, however, was the unique shape of the CBY-3's fuselage. Rather than the circular cross-section main fuselage of the DC-3, the CBY-3 had a rectangular cross-section fuselage, 20 feet wide, in the airfoil shape of a wing when seen from the side. Even more remarkable than the CBY-3's appearance was its performance. It could carry a ton more payload than the DC-3. Most impressive of all was the fact that test pilot Clyde Pangborn guided the CBY-3 into the air with a takeoff run of only 650 feet. What was the miracle airplane that made its test flight on that Canadian summer day? Why aren't its wondrous capabilities better known? The answers to these questions are only a small part of one of the most interesting stories of the youth of America's aviation industry--that of designer Vincent J. Burnelli. in Burnelli Continental Military Biplane. involves several of the Early Bird members. You may want to use the "Find" function on "Burnelli"
Vincent J. Burnelli, a pioneer in world aviation, died of a stroke on June 22, 1964, aged 69, in the Southampton Hospital on Long Island. He proved that lifting-body aircraft was superior both in safety, efficiency and performance and held that the more conventional tube-shaped fuselage was practically a dead weight between the wings. He designed his first airplane in 1915, at Maspeth, Queens, New York City, with a friend, John Carisi. 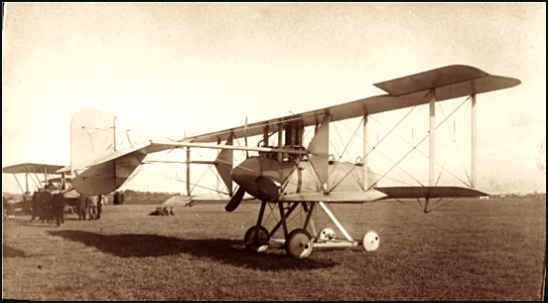 The open biplane was first demonstrated at the old Hempstead Plains Aviation Field, which was later to become Roosevelt Field. A few years later he designed a "night fighter" in the hope that it would be used in the First World War combat. His hopes were not realized but he did sell the plane to the New York City Police Department, when plans were made to create an aerial police operation. 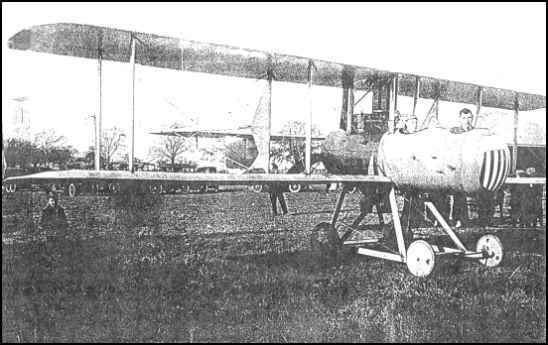 In 1919, Mr Burnelli changed his views about aircraft design, after he had turned out what is believed to have been the world's first large commercial airliner in Milwaukee, Wisconsin for the Lawson Airlines. In reminiscing about his creation, Mr. Burnelli said that he was disappointed when he saw the result of his efforts. He recalled that he got the impression of a street car with wings. "The air is the roadbed of an airplane" he said, and he then and there "decided to leave street cars on the ground". In later designs he switched to fuselages with winglike shapes that contributed up about 40 percent of the lifting surface in flight. Mr. Burnelli was never fully successful in popularizing his wing-shaped fuselage planes, because as a contemporary designer once explained "the aircraft industry continued developing higher power engines that could fly the other conventional type planes. Any aircraft is obsolete before it is put into production." Mr. Burnelli was credited with designing the world's first airfreighter in 1923. The plane was flown at Mitchel Field and used as a flying showroom to display Essex automobiles. His flying-wing design was dominant in the Burnelli twin-engine, twin-tail, commercial planes produced in England before World War II. He also created the Burnelli Loadmaster. Clyde Pangborn, the famed trans-Pacific flyer, was the Burnelli test-pilot for several years. Vincent Burnelli is survived by his wife, the former Hazel Goodwin,and two married daughters. Mrs. Patricia Kimmins and Mrs. Clifford Adams, all of whom reside on Long Island. Also two married sisters residing on Long Island and another unmarried sister, Miss Felicity Burnelli, living in New York.